Were you hit by an uninsured motorist or driver in Los Angeles or anywhere California and need and attorney who can help you? Given the state of the economic environment in the Golden State in the last few years, people driving without insurance (uninsured motorist) have become a huge problem. As an auto accident attorney, I have seen my share of persons injured or killed by people with either no insurance coverage or very minimal coverage (the Golden State only requires that persons maintain a minimum of $15,000 per claimant and $30,000 per claim as a minimum). When this occurs, what do you do? Do I Have Uninsured Motorist (UM) Coverage? 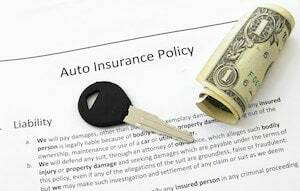 California Insurance Code Section 11580, mandates that every policy of auto insurance issued in the State of California must have uninsured motorist coverage in an amount as much or more than the overall limits. The only exception is if the insured person waives the coverage in writing and with very specific language. Therefore, unless a valid, signed waiver can be produced, the coverage should apply. It is still important, however, to make sure you haven’t signed such a release prior to an accident. In What Instances Would I be Able to Assert Claims Under my UM Policy? The most obvious scenario is being struck by a driver who has no insurance at all. A good attorney should verify whether there is insurance coverage for the operator or the owner of the car, truck, etc. This is done by requesting the information from the driver and contacting their stated carrier or, if this is not successful, by filing first an SR-1 (Report of Accident) and then an SR-19 (Request for Proof of Financial Responsibility) with the California Department of Motor Vehicles. Once it has been determined that there is no allowance of insurance, a claim can be made to your own provider for all the same damages that could have been asserted against the at fault party. The other main instance where this would apply is where the at fault person or entity doesn’t have enough insurance to cover all of the injured person’s damages including present and future medical expenses, emotional distress and pain and property damages. This is the so-called “Under-insured” motorist (“UIM”) claim. The indemnity company for the aggrieved party will have to “exhaust” the underlying limits of the underinsured person but, could then apply to have the remainder of the claim paid by his or her own insurance company. (For example: If the reasonable value of your claim given the costs of therapy and other treatments and the concomitant pain associated with that is $100,000 and you are hit by a motorist that only has $15,000 in coverage and you have $100,000 in UM/UIM coverage, you would be entitled to apply for payment of $85,000 from your own insurance based upon an allowance of the balance). Finally, there is the case of the “hit and run”. California law says that as long as there was contact between your car and the hit and run driver’s vehicle, you filed a police report and you reported the accident to your insurance representative, you may recover damages including bodily injury through your UM policy provisions. What is the Process for Making an Application for Payment on a UM or UIM claim? Making sure the proper treatment is rendered and a full and complete picture of what may be needed in the future (including things like surgery, physical therapy and other matters) and assuring that all of this is accounted for in the settlement demand. Upon doing so (and upon also getting full policy limits in the case of a UIM claim) a petition for resolution can be made. If the parties agree as to the amount of compensation, a release can be reviewed and signed and payment issued. If the parties cannot agree on the amount, a demand for arbitration can be made. Thereafter the parties will exchange information in the so-called “discovery” phase and then present that information by way of medical and billing records, testimony from the plaintiff (person making the claim), and testimony from other witnesses, including medical and other experts. This information is conveyed to an arbitrator, which is a private judge appointed to decide the matter. If the matter is decided in favor of the insured, an award is made in an amount deemed sufficient by the arbitrator to cover both out of pocket costs and pain and suffering. Why is it Important to Hire an Attorney if I am Making a Claim with my own Insurance Company? Obviously, insurance companies are in the business of making money and trying to minimize what they pay out on claims. UM/UIM claims are no different. A quality lawyer can take all the proper steps to investigate and prepare the claim so that it is presented in a way that maximizes the value. Furthermore, if a reasonable “meeting of the minds” is not possible regarding an agreement to settle, the attorney can an will take all efforts necessary to bring the case to the arbitration process so that an award can be made that is as beneficial as possible.